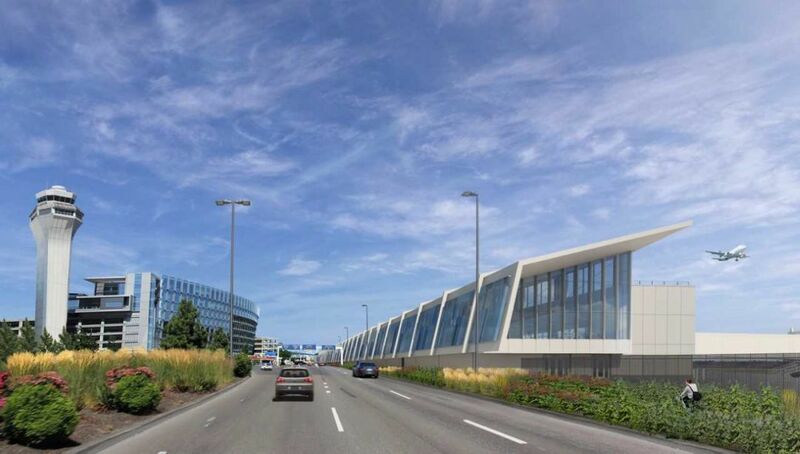 A rendering of the Portland Airport's future Concourse E expansion (to the right), paralleling the parking structure. 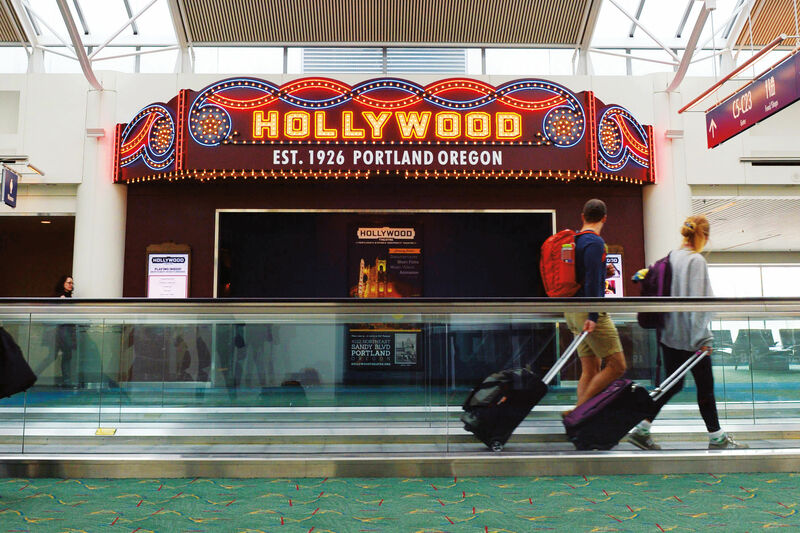 As a frequent Southwest Airlines traveler, I’ve had little reason to get to know the Portland Airport's Concourse E—primarily home to United Airlines and Air Canada Airlines. 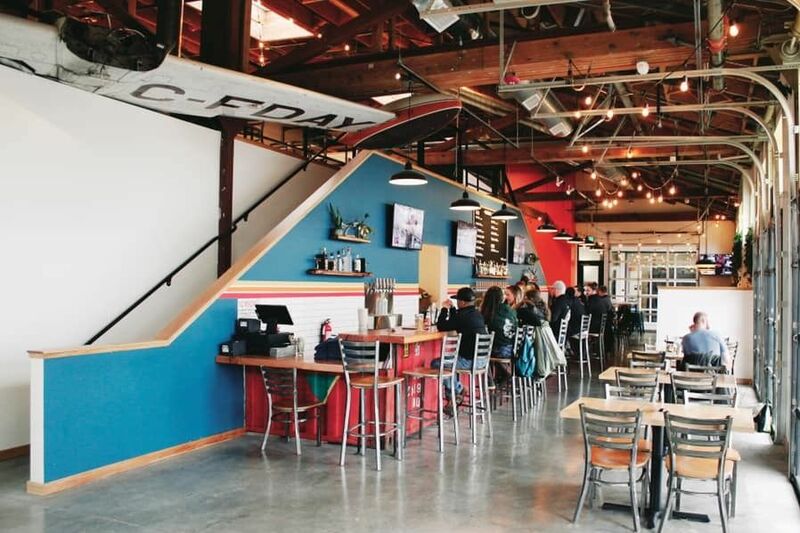 That also goes for Concourse E’s unique features; it’s home to a Laurelwood brewpub I’ve never patronized (and likely won’t, as HUB is scheduled to replace it in fall 2018), and also the airport’s only outpost of beloved local eatery the Country Cat, of Diners, Drive-ins, and Dives fame. The five-year concourse expansion project—which will cost an estimated $215 million—is being managed by Skanska, a Swedish construction and development company and comes alongside a larger $1.3 billion project focused on the airport’s “terminal core.” (Additional improvement projects—including the creation a rental car-washing station, garage addition, and other renovations—will continue at the airport until at least 2025.) Locally, Skanska proved its aviation design chops with its 2009 construction of a new terminal for the Southwest Oregon Regional Airport. Portland architecture firm Hennebery Eddy, in partnership with Colorado-based Fentress, designed the soaring, angled expansion, which will extend the concourse an extra 830 feet—longer than two football fields placed end-to-end—to the east, parallel the parking structure. But don’t worry, United and Air Canada passengers: since the project builds off the existing concourse, the end of the building will simply be sealed off during construction, allowing the original concourse to continue operating as normal. The project is borne, in part, from a need to rejigger passenger flow through the airport. Says Port of Portland spokesperson Kama Simonds: "Right now, Alaska and Southwest are on the south, and that's putting a lot of strain on folks who are using the security checkpoint for [Concourses] A, B, and C."
The move essentially splits the airport’s two most popular carriers, Simonds says, which hopefully will ease that security bottleneck. Once complete, Simonds says PDX customers can also expect a “more effective” baggage handling system, along with additional concessions, likely to be determined in 2019. 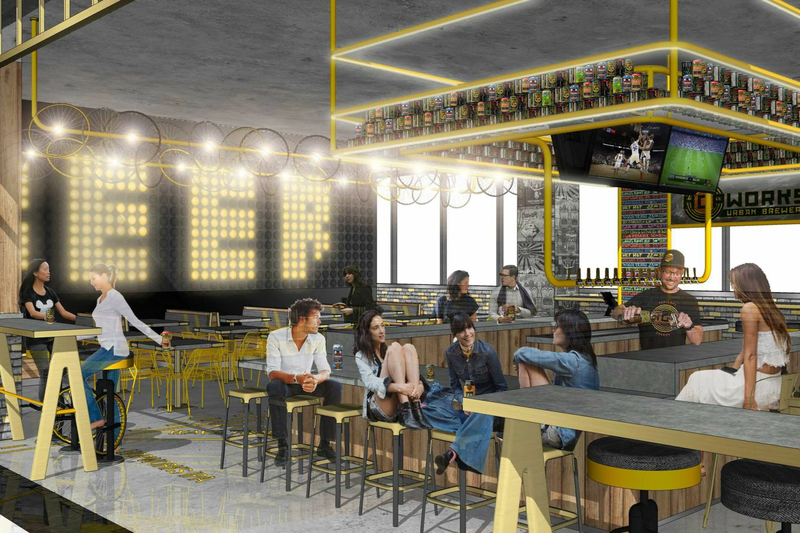 The expansion also means that back in Concourse C, future Alaska Airlines passengers will only have to jockey JetBlue and American Airlines passengers for access to its popular amenities, from Hollywood Theatre’s mini-cinema to House Spirits’s tasting room and Henry’s Tavern. Cheers to that!